Grizzly bars are an excellent way to save money on your equipment and time on your project. When it is time to change out a grizzly bar, it is important to select the right bar for the primary applications that are required. Although the shape and size of a grizzly bar are an important consideration, there are other key aspects that make the bar useful for a business. Buying a product that has a low cost is not always the best way to save money. Cheap quality steel will ultimately cost more because it slows down production and must be changed more often when compared to high quality options. Look at the estimated life of the bar before selecting any product. 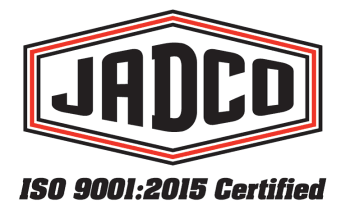 Select a product that uses high-quality steel and has an estimated life that is long to maximize your uptime. When your equipment is working, everybody benefits and your profits can be maximized. Through-hardened steel is more resistant to impacts, which makes it last longer than steel that is not through-hardened. On average, it will last roughly 10 times longer when compared to basic steel or low-quality options. A grizzly bar that is made out of the hardest steel available can make a difference in your uptime and the potential complications that may arise. It is less likely that the bar will be damaged in a short period of time if it is made with durable and through-hardened steel. Although the quality of the steel is essential for any grizzly bar, it is also important to work with a manufacturer who will listen and then work on developing an appropriate grizzly bar. Since the applications of a grizzly bar are always a little different, an expert manufacturer can make the difference between getting the results that you want and facing unexpected complications. Working with the best manufacturer will provide the expertise to find the right option for any unique application you’re considering grizzly bars for. 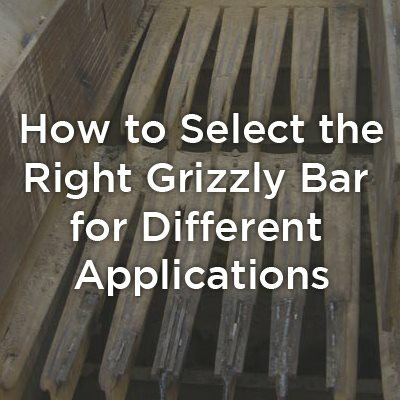 Selecting the right grizzly bar is not difficult, but it can be complicated when several options are available. The easiest way to select the right bar for any specific application is evaluating the materials and the manufacturer before purchasing or developing a custom shape that may be appropriate.